Content marketing is one of the most effective marketing strategies available today. All you need is to write a few thousand-word articles several times a week, produce masterful, in-depth, search-engine-optimized, intensely visual, user-focused content, and unleash it with the grace of an industry maven and the power of a market leader. Content marketing is the modus operandi for modern digital marketers, but doing it right is no easy feat. And the future is challenging. As I’ve executed content marketing over the past few years, I’ve spotted a few common and easy-to-make mistakes that many marketers make. If you can nip these mistakes in the bud or make some improvements, you’ll be a force to contend with in the wild world of content marketing. No matter when your content is published or who you are writing for, poor content is not going to be well received. If you are lucky, Google will simply sandbox the page or bury it on Page 49 of the search results. In all honesty, having no one read your poor copy is better than having someone read it and share it for the sake of making fun of it. In the event that your content is read, your reader isn’t going to get much use out of it. A reader who has to battle through spelling or grammar errors is going to focus more on those problems than on your overall message. Even worse, this person isn’t likely to subscribe to your email list or your online services, or choose to buy any of your products. I understand the problem. I really do. You hear about content marketing. You decide to do it. But pressed for time and pressured for results, you simply churn out a few blog posts, hoping that it will work. But it usually doesn’t work — at least not with the results you wanted. Instead of gaining traffic, you simply have a spent budget, tired marketers, and a disappointed executive glaring at you. Better content will get results. How do you improve your content? A few things should be obvious — consistent style, no typos, images, etc. But, here’s a quick process from Backlinko to help you visualize your future (better) content. It’s called the skyscraper technique: Find great existing content and make it better. In other words, improve on the best. Boosting your content quality should be priority No. 1 for excelling in your content marketing efforts. A well-written article that doesn’t solve a problem or answer a question isn’t going to get a much better reception than a poorly written article gets. If someone is looking for advice on how to get rid of an ice dam and you give them information about how ice affects the gutter, that person isn’t learning from you how to get rid of the ice dam. Sure, it’s nice that you have explained why the problem exists and detailed the consequences of not taking care of it, but you haven’t answered the reader’s question. This person now has to search elsewhere for that information, which means you may have lost a sale or the chance to build a relationship with this individual. How do you improve the usefulness of your content? This requires getting in the head of your users, identifying the questions that they are really struggling with, and answering those questions directly with your content. Ann Handley’s excellent process will put you on the path to creating super-useful content. The focus of content marketing is to educate first and sell second. Ideally, you don’t mention yourself or your business until the call to action at the end of the article or video. Your goal is to teach your reader how to solve a problem and who to reach out to for help. If readers or viewers want to know how to change a car battery, they should know how to do so by the end of the article or video. Your goal is to have people share your content to help you or your client look like an expert who gets paid to perform related services or sell related products. When creating content for the purposes of marketing a product or service, you have to know what you are talking about. Therefore, you have to take great pains to make sure that you know what you’re talking about and seem credible to your audience. If you can’t do that on your own, it may be good to work with an outside source who can. Do you have a concrete plan for what you want a specific piece of content to do for your company? For instance, you should know if you want your latest video to go viral through social media or whether it will be fodder for a landing page. If viral is the goal, you may need to create a video that’s more upbeat or vibrant that will get people thinking and talking about that content and sharing it with ease. If the content is meant for a landing page or a corporate site, you may focus more on selling yourself or what you have for sale. You want your content to provide value both today and long into the future. Evergreen content is anything that provides a basic overview of a topic or provides information that is just as true 10 years from now as it is today. An example may be an article about Earth that says it is the third planet from the sun and it takes 365 days to complete an orbit. Another example would be an article about the moon being Earth’s only natural satellite. These facts won’t change and are accurate whenever you decide to publish them. Such content is valuable because you can use it in a blog post today, an e-book tomorrow, and as part of a webinar or as social media content a week, month, or year from now. Evergreen content allows you to market to your customers and possibly increase revenues without having to spend any time or money on new marketing materials. When creating content with the ultimate goal of marketing a good or service, you have to know who your audience is. 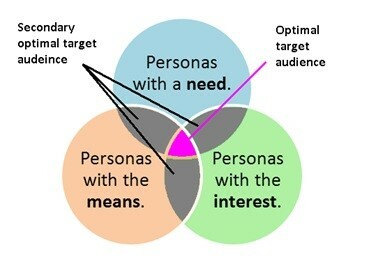 Understanding and targeting your audience is crucial to a successful content marketing campaign. If you’re on the left side of this spectrum, you’re doing it wrong. First, identify your target audience. Know them. Research them. Figure out what they want. Tip: Creating content for the right audience will probably force you to produce super-focused content. That’s good. This level of content will drive the most focused and engaged potential customers. In some cases, you will target a niche or narrow market within a broader market, which has its own expectations when consuming content. For instance, you may decide that your target market is 25- to 45-year-old males. However, within that group are individuals with different educational backgrounds, economic backgrounds, and other variables that will play a role in how they respond to content. While using basic language may cater to a younger person with no education or experience, it may turn off a highly educated executive with years of experience with a given product or service. Therefore, your best bet may be to create multiple pieces of content that may contain the same overall message but are slightly tweaked to meet the needs of each segment of your target market. Marketing your content on social media is a great way for it and yourself to gain exposure. However, no two social media channels are the same. Those who use Twitter tend to like to share links or have the information condensed to a basic overview. Those who use Facebook want content that they can “like,” comment on in depth, and share with their friends who may have similar interests. The audience on Twitter and Facebook may vary wildly from what you will find on LinkedIn or other professional networking sites. While you may be able to get away with snarky or edgy content on your Twitter account, you may want to maintain a more professional tone when using a social media site catered more toward professionals. Too often, content marketers and SEOs are at odds over how their disciplines mesh. 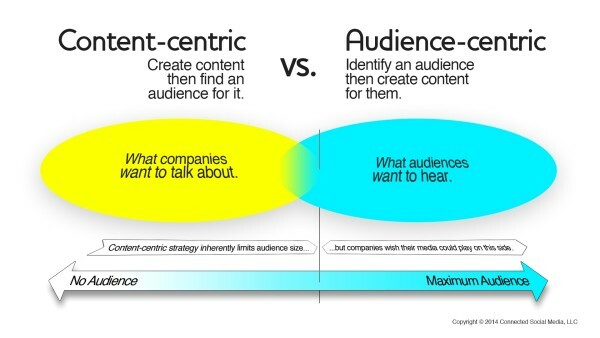 I am both an SEO and a content marketer, and I see the two blending magically. SEO is what will help drive traffic and decrease the cost of customer acquisition efforts. However, SEO is more than just using keywords or phrases in the hopes of landing on the top spot in the SERPs. In addition to knowing which keywords you are targeting, you have to use them consistently throughout your page, which includes using them in title tags and in paragraph headings. Furthermore, you should know how to optimize content for Twitter, Facebook, and other social sites. Doing so could increase the odds of readers finding out about you or what you have to sell by finding your social media pages as opposed to an article, video, or landing page that you created. When done properly, content marketing is one of the most effective — as well as cost-effective — ways to market your goods, your services, or yourself. 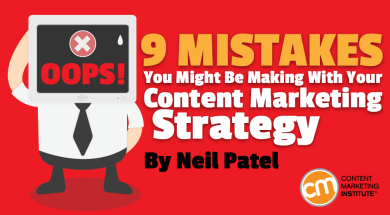 What mistakes have you seen in content marketing? Want to prevent yourself from making more mistakes or fixing the ones you’re already committing? Subscribe for the free daily or weekly CMI newsletter with tips, trends, and insights to make your content marketing program even more successful.